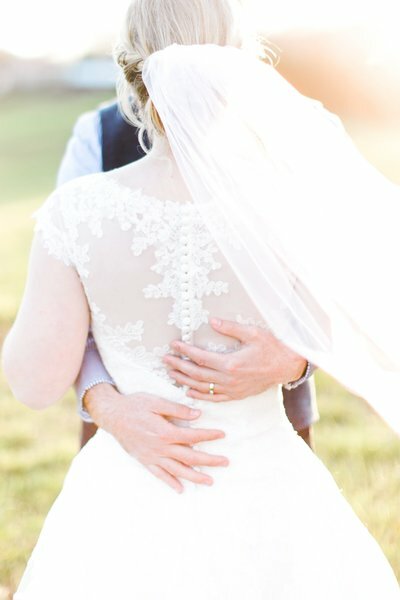 Hailey and Kyle had a stunning sunset wedding ceremony at The Farm in Rome, Georgia this past August! The two lovebirds had a blast on their wedding day. They smiled and laughed even during the hottest time of the day for photos! 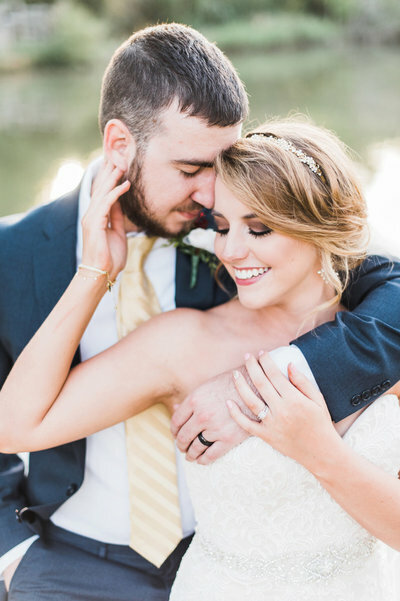 During the ceremony, it cooled down as the sun set, which made for some gorgeous sun-kissed images! An artist also captured (painted) the beautiful scenery as they celebrated with their hands in the air. Be sure not to miss Kyle’s reaction to Hailey walking down the aisle, it’s a tear-jerker! I loved how family oriented this wedding was. 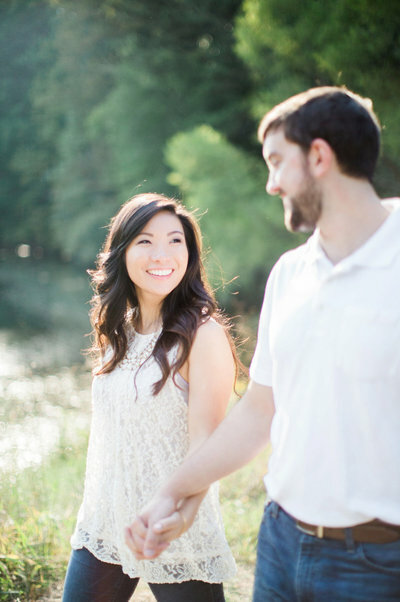 At their Roswell Mill engagement shoot, I got to meet one of their family members, Bentley, who was terrific! So it was no surprise that the rest of their family was just as loving and supportive on the big day. They took the cutest sibling photos! The bride + groom danced away the rest of the night with the Atlanta Wedding Band, and said their goodbyes with a unique ivory-balloon send-off! Hailey + Kyle, thank you for making me feel so welcomed and a part of your special day. Congratulations Mr. and Mrs. Williams!